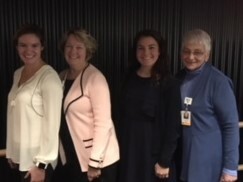 On October 26th, 2018 several aspiring Oncology nurses - including 5 recent Flynn Fellows - attended a special 1-day “Spirituality & Patient Care: Hope and Healing” conference at Mass General Hospital (“MGH”). 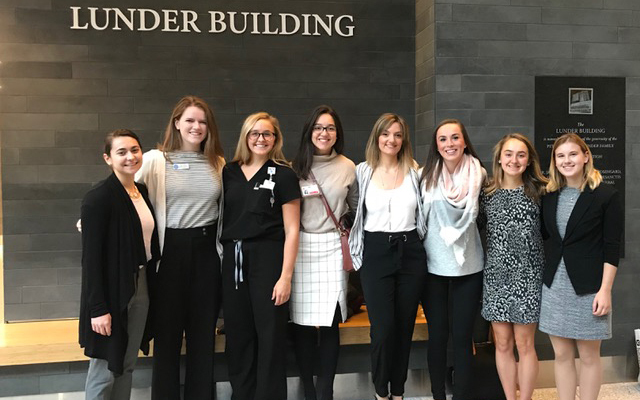 Their attendance was sponsored by the Susan D. Flynn Oncology Nursing Development Program as part of a continuing education program for its Flynn Fellows and select other aspiring Oncology nurses. The Conference covered several topics, including the importance of providing spiritual care and addressing the emotional needs of patients’ and their nursing caregivers, moral distress, ethical questions, and compassion fatigue. The attendees included Kaitlin Byrne (Molloy College), Stephanie Bogazis (U. of St. Joseph), Julianne Hulin (Fairfield U. ), Amy Lynch (UCONN), Cecilia Mercadente (St. Anselm College), Kate Mignosa (Boston College), and Holly Vynar (U. of St. Joseph). 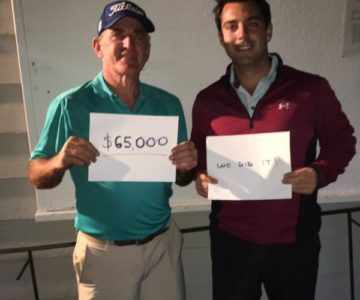 $75,000 RAISED IN 2018 GOLF MARATHON EVENT! 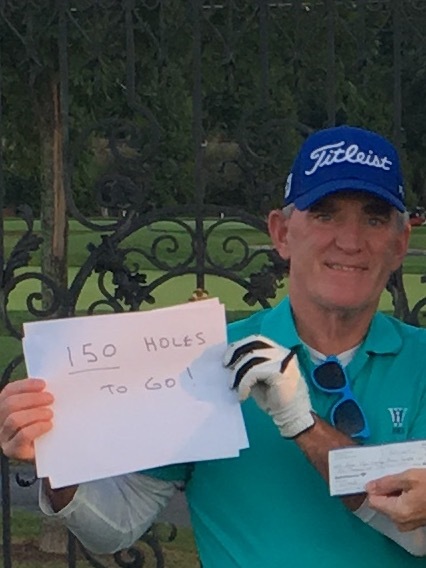 Our 4th annual Golf Marathon fundraiser, which was organized by my dear friend Michael O'Rourke, was another tremendous success! 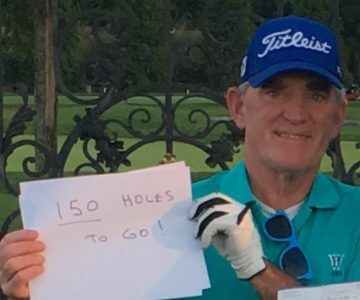 As a team, my son Matt and I set out to play 150 holes of golf in this special event. 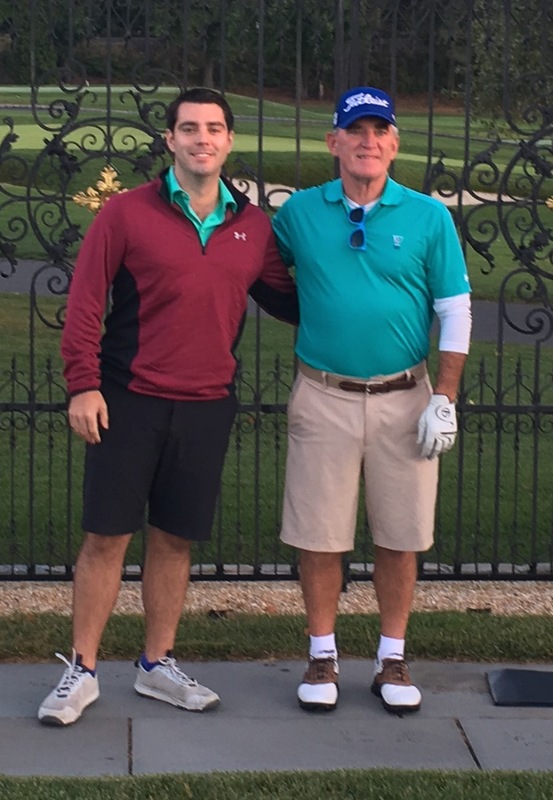 However, after teeing off at 7am on a beautiful Fall day, a spirited "father/son" competition ensued...we ultimately agreed to call it a draw 11 hours later, after we each had played a record 162 holes! 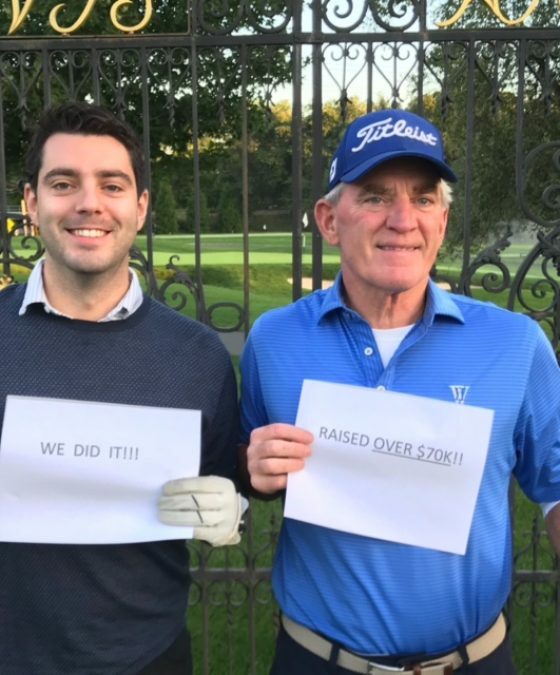 More importantly, through the generosity of many of our friends and neighbors, we achieved our goal of raising $75,000 to help support this unique Oncology Nursing Fellowship Program! Thank You to all who supported this fundraising event. On November 16th, thanks to the generosity of my good friend Stephen Corman, I attended this event with a group from Greenwich Hospital. 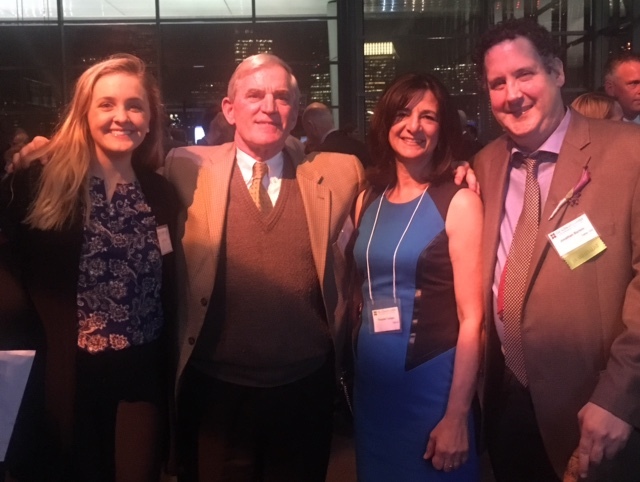 Sarah Woods (pictured far left), a former Flynn Fellow at Dana Farber, who is now an Oncology nurse at Mass General, attended with us. The program featured the 6 finalists for the prestigious National Caregiver of the Year Award presented annually by the Schwartz Center. One of the finalists was Jonathan B. Bartels, RN, BSN (pictured far right), an emergency room nurse and Palliative Care liaison at the University of Virginia Medical Center. 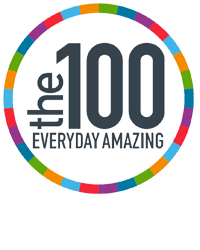 Jonathan is nationally recognized for creating The Pause, an innovative and extremely compassionate “intervention” which involves a momentary private “ceremony” after a patient dies... its a reflective pause, a pause of respect and resilience. Jonathan’s Pause offers time to honor the human life that was lost, recognize the loss the family experienced, and acknowledge the medical team for their work and valiant effort. Click here for an article written about The Pause by Jonathan B. Bartels. 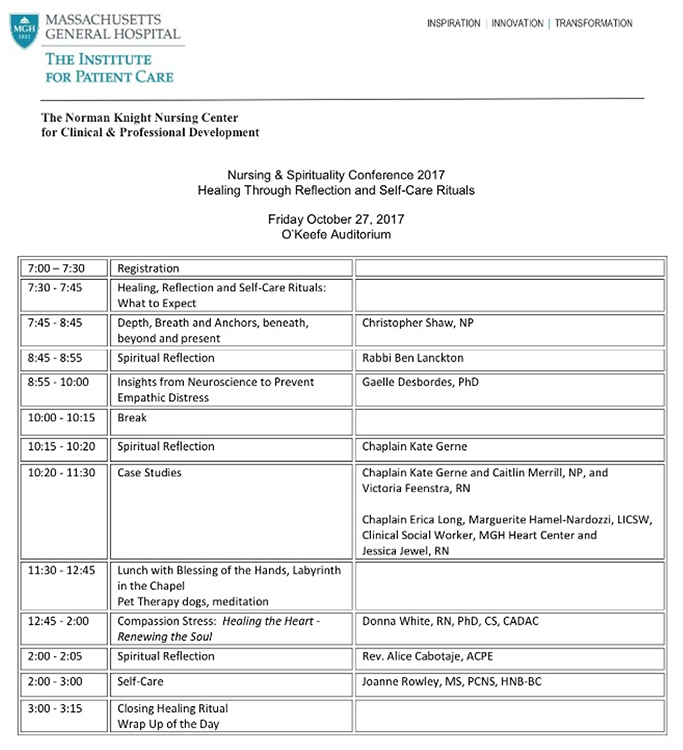 On October 27th, two recent Flynn Fellows, Emily Kopas and Jaclyn DiYeso, attended a special 1-day “Nursing & Spirituality” Conference at Mass General Hospital (“MGH”). Their attendance was sponsored by the Susan D. Flynn Oncology Nursing Development Program as part of a continuing education program for its Flynn Fellows. The Conference covered several topics, including the importance of providing spiritual care and addressing the emotional needs of patients’ and their nursing caregivers. Techniques to promote resilience and self care to help nurses combat “compassion fatigue” (aka “burnout”) were discussed by Dr. Donna White, a leading authority on the subject. Ms. Kopas, a 2016 Flynn Fellow at Greenwich Hospital from Fairfield University, is now an Oncology nurse at Greenwich Hospital. Ms. DiYeso, currently a senior at Fairfield University, was a Flynn Fellow this summer at Greenwich Hospital and is an aspiring Pediatric Oncology nurse. 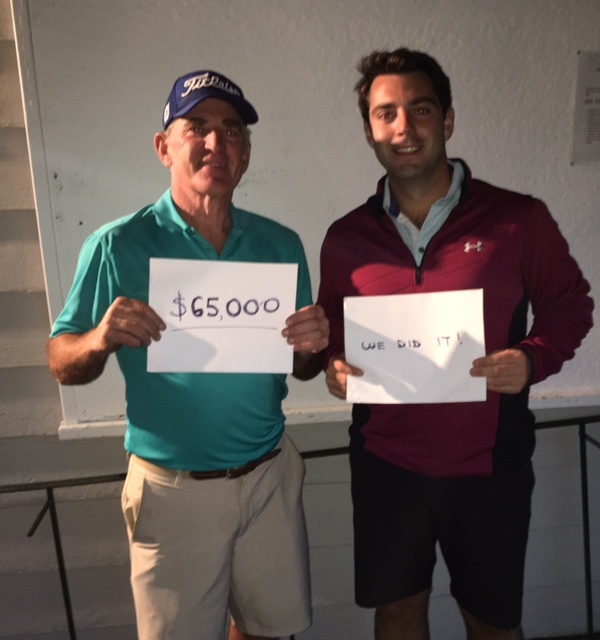 OVER $65,000 RAISED IN THE 2017 GOLF MARATHON EVENT! 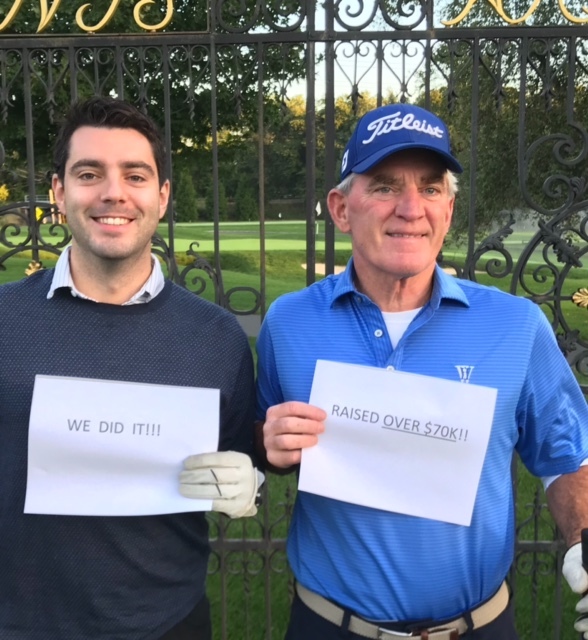 Our 3rd annual Golf Marathon fundraiser, which was organized by my dear friend Michael O'Rourke, was another tremendous success! 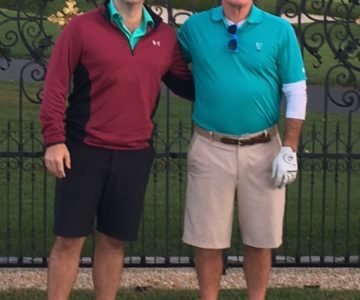 As a team, my son Matt and I set out to play at least 100 holes of golf in this special event. 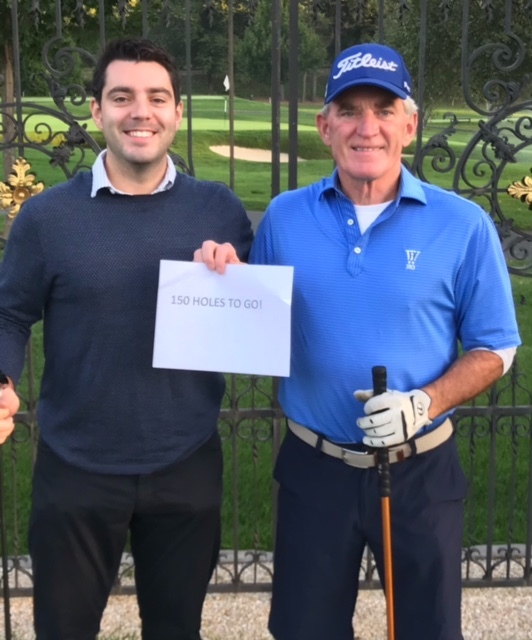 However, after teeing off at 7am on a beautiful sunny day, a spirited “father/son” competition ensued...we ultimately agreed to call it a draw almost 12 hours later, after we each had played a record 154 holes! More importantly, through the generosity of many of our friends and neighbors, we raised over $65,000 to help support this unique Oncology Nursing Fellowship Program! Copyright © 2018 Susan D. Flynn Oncology Nursing Development Program. All rights reserved.